The Refined Training report builder provides the ability to create and edit reports based on a specified data source in the LMS. The data source is the type or types of data the system uses to build a report. For example, the course completion report (which shows the number of completed courses by user and displayed by completions per month) uses the ‘course completion’ data source to collect information about the number of completed courses by each user in the system to display on the report. The source designates the type of data used in a report and is selected from the drop down menu of predefined queries. If a required data source doesn’t appear in the drop down menu, the report builder will need to be configured to include the source data required, which needs to be done by the Refined Training development team. 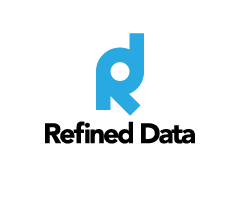 Contact us at support@refineddata.com to make this request. Once the report source is designated, it cannot be changed for that report. Each data source has default data associated with it and reports on custom profile fields. Below is a breakdown by data source of the available columns by default, any known limitations of the data source, and common reports associated with each data source. Displayed columns in the report by default are: Month and number of active users for that month updated every seven days on Sundays. Limitations: None at this time. Click here to report a limitation. Use this data source to: View how many users are accessing the LMS over a specified period of time. This data source allows for filtering by system role. Use this data source to: View the last access (date and time stamp in the default timezone of the site, which appears in the column header) of users over a specified period of time with the ability to see each user’s first name, last name, and email. This data source allows for filtering by system role. Available columns in the report by default are: user ID, first name, last name, email, course ID, activity name, status, activity grade and system role. Limitations: The report reports on all users who have completed the relevant activities, regardless if they are enrolled in the course or not. Use this data source to: View the activity completion of a defined set of users. This report allows for a more granular view of activity completion and status then the course completion reports that only report on the level of the course. This lets you see what is happening withing the course itself. Displayed columns in the report by default are: Full name (linked to profile), certificate name, certificate issued date and CEUs. Limitations: The users' system role can be added as a column to the report but if the user has multiple system roles then there will be a line entry for each system role. The comma separated display option for the system role will resolve the issue of single line entries but once the comma separated option is selected the system will report the numeric value of the system role instead of the text value. We recommend user filter on system role as opposed to displaying this value as a column. Use this data source to: View the number of credit users have received by attending live events that are managed by the sign-in reconciliation activity, by certificates achieved through the certificate activity and historical certificates if imported in your database by the Refined Training team. Under Content Controls settings: select "Show records matching all of the checked criteria below" and then select "Show records based on the user" and "Include records from particular users: A user's own records"
Once report is ready - you can add the User Reports block to any page for users to access it or you may simply provide them the URL. Displayed columns in the report by default are: Full name (linked to profile), course name (linked to course page), the completion date. Limitations: Course completion was introduced with the Moodle 2.3 upgrade. Users who achieved certificates in Moodle 1.9 are marked with the date of the upgrade. For example, if a course certificate was achieved in March 2012 and the upgrade was completed January 2013, the course shows a completion date of January 2013. This occurs regardless of if the course was or is currently set for course completion. Use this data source to: View the name of the user and the number of courses each user has completed over a specified period of time. The report can be set to a specific financial year (either current or previous), the past or future 30 days, or the past or future in the Content tab. This data is broken down by number of completed courses per month and a grand total of completed courses per user. The completed courses are based on the completion settings of the course. If completion is not set for the course, it will not be reported in the report. Choose SUM as the aggregation of the grand total column to view the total number of courses completed by each user. Use this data source to: View by user and course category and course name which certificates were achieved with a date/time stamp and final grade. The final grade is the course grade. Use this data source to: View a listing of courses and their corresponding categories. Displayed columns in the report by default are: Full name, required course count, required courses completed, % of required courses completed, non-required courses completed, and total courses completed set to update every day. *Graphs are displayed in the report only when the report is exported in PDF format. Limitations: The tables used for this report only update when the user logs into the system and the recommended or required block loads. This occurs because the data sources are large and could take time for the cron to complete running depending on the size of the database. This cron is set to run daily at a minimum. This daily cron is just for the report. Users will be updated (get their required/recommended courses) after they log in and open the "required/recommended" courses block. Use this data source to: View by user the number of required courses, number or completed required courses, percentage of required courses completed, number of non-required courses completed, and total number of courses completed. The completed courses are based on the completion settings of the course. If completion is not set for the course, it will not be reported in the report. It’s helpful to add the column “last access” to the report to know when a user’s account was last updated. Report Setup: Add the filter “System Role” in the filter tab. A new filter will appear on the report that allows the data on the report to be filtered by any system role. This means that any user who has multiple system roles assigned will have the corresponding number of records in the report. For example, if Steve is a Limited Admin and a Course Creator, Steve’s name will appear when the filter is set to either Limited Admin or Course Creator. If the system role filter is set to any and we filter by Steve’s name, the report would show Steve twice; once for each system role. Please note that the filter "System Role" is not intended to be used as a column, even though it appears as a column option. Using the "System Role" filter as a column will display the numeric value of the system role and not the text value, and we discourage the use of the "System Role" as a column. Limitations: Site logs have been split into two log tables standard and legacy. The reason for this separation is the log legacy data logstore_legacy feature within Moodle. The log legacy data logstore_legacy is accessed by navigating to site administration >>>> plugins >>>> logging>>>> legacy logs. There is a setting that allows a site administrator to write current standard logs to the legacy table for combined reporting. By default this setting is switched to no. The setting should only be run if the site administrator has older, custom reports that directly query from the old log table. Writing to the legacy logs increases the load on the system as the logs are written to both the legacy and the standard log tables. This introduces additional performance considerations and is not recommended for sites with a large amount of data. Use this data source to: View a date/time stamp for every user’s action by course within the LMS along with the user’s IP address. The log legacy data controls the log behavior up until the date of the site upgrade to the RT3 platform featuring moodle 2.7, or until this setting was changed. Use this data source to: View a list of users by first name, last name, email, city, country, phone, and user ID. Use this data source to: View the date that users enrolled in a course on the Learning Management System platform using the Refined Training signup form and report on the source of registration. Limitations: The events are linked to Connect Meeting activities, if the meeting activity is not running a course there will be no event data to pull. Use this data source to: View the completion status of course related events for all users enrolled in that course, and the date of these events. This data source allows for filtering by Course Name, Event Name, Event Date and Completed status. The data source tables structure for each report is provided in the columns tab and can be viewed by building a report using all of the columns. Select add another column from the column drop down menu to see a full listing of data that can be reported on and is associated with the source.